Our first Week of Mamás Blogueras comes to an end with this entertaining and endearing post by Carrie Weir, Cuban-American blogger, entrepreneur and mamá to a precious girl. 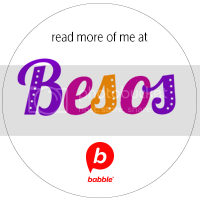 Stop by Carrie’s blog-Bilingual in the Boonies-for a good dose of her unique sense of humor and a peek into this Latina’s bilingual life. There are Spanish-English dictionaries on my desk, on a pantry shelf, and on the bookshelf in my daughter’s room. I need them to stay within reach because despite the fact Spanish is my first language, the words often escape me. And, much to my delight and slight shock, my 5-year-old can give me the right answers when I get bilingual brain-lock. -”Maria, como se dice ‘cubby’ en español? I grew up in a Cuban-American family in Miami. My parents and relatives primarily spoke Spanish at home and I attended a bilingual private school. So, the foundation in the language of my people is strong. But, after nearly 25 years on my own –nearly 20 of those living in Tennessee — far away from my family and culture, I realized raising a bilingual child would take some creativity and all the help I could get. When Maria was an infant, it was simple to teach her Spanish. Leche, agua, pelota, perro. I sang her lullabies like Señora Santa Ana and Los Pollitos Dicen and I kept the salsa music on the CD player. While I was at work a wonderful woman from Nicaragua filled Maria’s ears with beautiful Spanish. By the time she was a toddler, most of her words were in Spanish. But, when I left my job and she started hanging out with me full-time, almost overnight her wants were communicated mostly in English. I lapsed into English a lot and even when I spoke to her in Spanish, she answered me in English. I panicked a little and made a game plan: If I could not speak to Maria 100% in Spanish, then I would fill in the gaps with books, music, games, some TV and the most powerful weapon in the arsenal — Abuelitos. And while I lapse often, it has worked. My daughter is as bilingual as she can be and while it takes constant monitoring, adapting and creative thinking to keep a little person like mine interested in engaging in a second language, it can be done. If I forget a word while we are talking, I go look in the dictionary, or tell her I will have to look it up later. I want her to understand that learning a language is a constant. Until she was about 2, I only read her bedtime books in Spanish. Her father read the books in English. Now, I do a mix of both. Simple and free Spanish podcasts like Voices en Español and Notes in Spanish, also available from iTunes, play in my kitchen during the summer and on weekends while Maria eats or does a craft. A favorite is Cody’s Cuentos, traditional children’s stories in Spanish. I play CDs from artists like Boca Beth and Professor Pocket and DVDs like Global Wonders that are specifically focused on teaching children Spanish. The songs are great and engaging. Maria has had the Boca Beth CD for more than 2 years and still loves it. Dora and Diego and Maya and Miguel have been stars here because when she was 3 and resisting el habla, I pointed out that Dora and Diego were bilingual just like her. “Isn’t that great?” I would say. She did think that was cool. Maria is enrolled in a Spanish immersion preschool. The fact she spends 6-hours a day bathed in español has boosted her language. She reads just as well in English as she does in Spanish. It also has improved my Spanish because her wonderful teacher corrects me often. My husband is not fluent in Spanish, but because he truly wants his daughter to be a Spanish-speaker, he makes the effort to speak to her in Spanish. Though he can mess it up, it’s a learning opportunity for them both when I correct him. It also shows Maria her father thinks it is important to try. We eat Cuban picadillo, arroz con pollo and flan at home and when we eat at Mexican restaurants she is encouraged to order her own quesadilla, por favor. I spray Maria’s hair every day with Agua de Violetas, a delicious and traditional Cuban children’s scent. It provides a link to the past and has provided opportunities to talk about my own Violetas-scented childhood in Miami. I actively spend time, and search for, local Latina friends and Latina friends with children so that Maria will grow up exposed to people like herself — people who can easily float between two languages and two cultures and feel right at home in each. My parents, who live in Miami, speak to Maria in Spanish. They teach her poems and silly songs. My father teaches her cubanisms and dichos and makes her duro frios — frozen smoothie cubes made of tropical papaya, mango and other fruit. Spending more than a few days with my parents switches her brain and she more often initiates conversations in Spanish when they are here, and just after we’ve been together. My grandmother, Evelina, used to kick my cousins and me out of the house if we spoke English. She was fierce and unrelenting. I credit her with much of the reason I speak pretty darned good Spanish. While my Mama would be shocked I cannot remember simple Spanish words, I know that the vieja would be pretty proud of how far we’ve gone to make her Tennessee-born, great-granddaughter the tremenda cubanita that she is. And reader, if you’re struggling with the habla in your own home, remember this: If I can do it in the Boonies of Tennessee, you can too. Want to meet María, Carrie´s daughter, and see her in full Spanish action for your self? Check out this adorable home video of María at age two. She’s too much! And so this brings us to the end of an awesome week of sharing! Thanks to all these amazing ladies for inspiring us in so many ways with their stories in this first Week of Mamás Blogueras: Tati, Jen, Violeta, Monica and Carrie. Hopefully, this will be the first of many! I loved reading this funny, wonderful post! You are a talented writer. I think it is great all the way you are teaching her Spanish and culture! I will have to check out your blog! Tati’s last blog post..Wonderful Blogs! oh my, she is absolutely preciosa! what a great dancer too! you are so very lucky to have her in an immerision preschool as well. fantastic that she is learing to be biliterate as well. she is so lucky to have you doing all that you do to preserve your culture and language. what a smart cookie she must be! ¡ Qué largo tiempo…… ! It’s been a long time since I first spotted a story on Carrie in Working Mother …. I bet it’s been three years! I was so excited, I remember calling her from my hotel room in some city I was in and we immediately formed a connection, a bond! 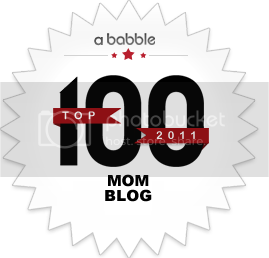 It’s a hoot reading her blog (a MUST for all of us trying to raise bilingual children!) as she writes with such description and breathes life into every post! Thank you Carrie for still sharing our Boca Beth bilingual beats with your hija tan linda/beautiful daughter. It makes me proud to know I am a small part of your bilingual puzzle in Tennessee! Muchisimas gracias for all your tips! I have a 6-year-old sister and we’ve been trying to make her speak and write in Spanish. We have “Español only” days at home, but she says she rather stay quiet because she doesn’t know how to say some words in Spanish. My other sister and I grew up in México, so we are fluent in Spanish, and the little one sometimes feels intimidated when we correct her. But I will buy her bilingual books and CD’s, and even show her the video of la bonita María! I love to know that we’re not alone in this bilingual task and that it has worked for you, I have hopes!!! Thanks so much for sharing all your tips!! 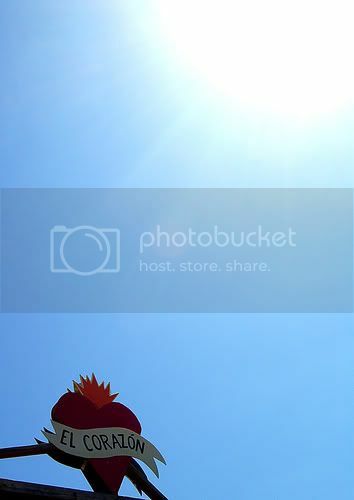 Just want to compliment Carrie and all the mamas blogueras (including Roxana and Ana of course!) for a great series of posts this week. I am excited to have such fun new blogs to peruse. 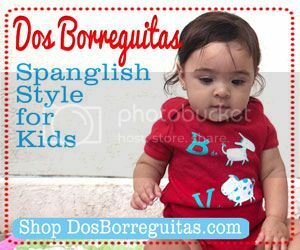 Spanglish Baby is a wonderful place; visually clear and beautiful with new ideas at every click! Thanks! Que vergüenza. Maria puts me to shame. But what a wonderful job you have done, Sister. I will have to bookmark this post so that I can refer to it whenever I need a good swift kick in the…rear… to work harder with my two. I’ve said it before, but I’ll say it again: you are awesome, chica! And I love the bit about the violetas…in Spain it was Nenuco baby cologne and I was so ilusionada when someone found and gave me some for my babies when they were littler. In fact, this reminds me to hunt down more! Hola a todas! First of all, our week of mamá blogueras was a huge EXITO!!! I loved every single one of the posts because they were all different and I feel like I know each of you just a tiny bit better. On another note, Violeta, I found Nenuco – which we also use in Perú with a different name – in Puerto Rico when we visit my husband’s family when my daughter was a few months old. The smell took me back to my childhood immediately! Unfortunately, Vanessa was kind of allergic to it, so I had to restrain from bathing her in it, qué lástima! My abuelita used to spray agua de rosas and agua de violetas in our hair. Your post brought up some memories. Thank you, amigas, for your kind words and encouragement. And un brindis to Ana and Roxana for providing a wonderful space for sharing good stories and anecdotes about our bilingual journeys…it’s a wild and fun one. Thanks for the wonderful post. I just came from your Bilingual In The Boonies blog to find this very inspiring entry! For the last two years, I have been a bit overwhelmed with the prospect of raising my children bilingual without much of an extended family here in Minnesota, but reading what you’ve experienced gives me a lot of hope. And your suggestions are great too. Lastly, I had never heard anyone else discuss how their own Spanish is put to the test (event if it’s your first language) when you’re trying to raise your kids bilingual, especially in an environment filled with things you yourself didn’t grow up with and lacking others that were part of your childhood.